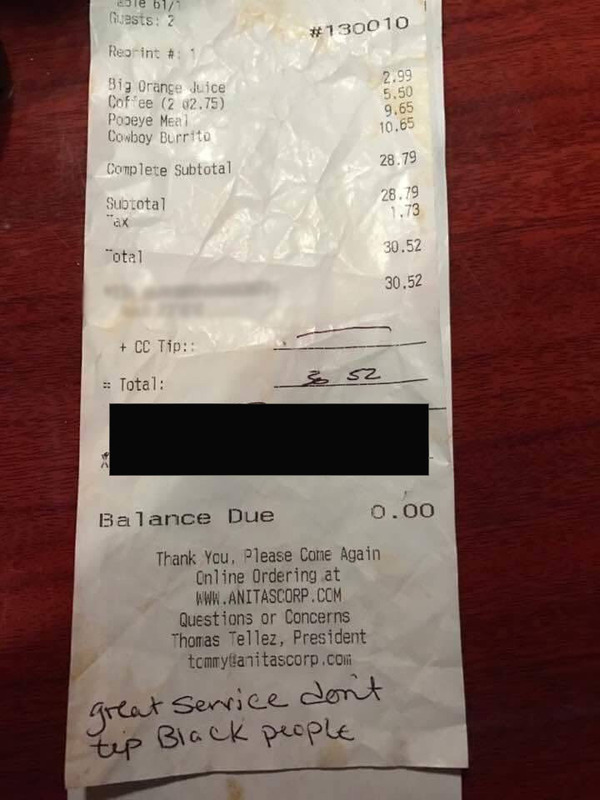 A waitress at Anita's in Ashburn says she received no tip, but instead got a racist message scrawled by customers. ASHBURN, Va. — Stiffing a server on a bill is one thing, but the owner of a popular restaurant is angry about a racist note allegedly scrawled by customers on the bottom of the tab. A couple at Anita’s New Mexico Style Cafe, in Ashburn, left no tip on a $30.52 bill Saturday. 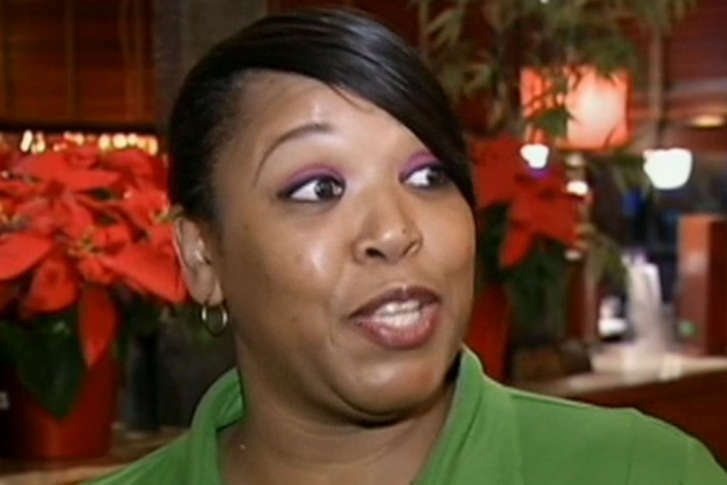 The words “great service don’t tip Black people” were written on the bottom of the check. “It’s disheartening; I’m outraged,” Anita’s president, Thomas Tellez, told NBC Washington. “I looked at the receipt three times,” said Kelly Carter, who said she served the couple Saturday morning, during brunch. Carter and Tellez said there was no indication the couple was dissatisfied with the food or service during the visit. “I was appalled, though it’s kind of in line with the political landscape, unfortunately,” said Tellez. He said Carter has been a good employee for years, and had developed a following among customers. She said she will not be deterred by the experience. “I keep my head up. I have to keep moving. One hateful remark can not stop me,” she said. The receipt was initially posted online by the Loudoun County chapter of the NAACP.